Oerlikon Textile Components, the leading manufacturer of premium components for the spinning industry, held Customer Days in November 2009 in two cities in India, Bhilwara and Ludhiana. The response of the customers was remarkable: Over 400 registered participants attended the events. The premium components of Oerlikon Textile Components play a decisive role for the quality of the yarn produced in a spinning mill and customers all over the world appreciate these products. Therefore, it is very important for Oerlikon Textile Components to offer a good service to their customers. This includes such events as the Customer Days in order to keep their customers up to date of the latest technologies. The aim of the Customer Days is to enter into a dialogue with the customers and to offer a platform for customers to ask questions to Oerlikon Textile Components and get a direct reply from their premium supplier. For Oerlikon Textile Components the Customer Days in India were an important event to know more in detail about the needs of their customers in order to further optimize their technological developments. The big response to the Customer Days in India encourages Oerlikon Textile Components to hold such events regularly in the future. The result of the event in India was that customers are very interested in such meetings. The participants of the Customer Days were spinning experts from different Indian spinning mills. They had a full agenda of various subjects. At first the agents of Oerlikon Textile Components in India were introduced to the participants. The agents are qualified and competent textile specialists who are the most important contact persons for all customers in their country. Oerlikon Textile Components disposes of a tight network of agents in many countries worldwide and on all continents. Oerlikon Textile Components used the event to present itself as the leading supplier of components for the spinning industry. The main subject of both events, in Bhilwara as well as in Lubhiana, was the presentation of a selection of important products that Oerlikon Textile Components supplies. Rings and travellers are the dominant elements in the ring spinning process. Oerlikon Textile Components offers a smart traveller design with different Texparts® Traveller Coatings as well as spinning rings with highest contour accuracy and outstanding flexibility. Together the Texparts® Rings & Travellers are the perfect combination. Since the introduction of the first spindle generation more than 80 years ago the Texparts® Spindles proved their outstanding advantages. Texparts® Spindles offer all features that modern spinning mills demand. They stand for highest productivity, good yarn quality, low operating costs and easy handling. The yarn quality is strongly influenced by cots and aprons. With the compound design and a consistent and sophisticated production process the Accotex® Cots and Aprons guarantee highest yarn quality. The Accotex® Cots have an excellent performance which results in stable yarn quality over the whole cot life. The Accotex® Aprons have good friction properties and precise product dimensions which results in troublefree processing of all common fibres under different climate conditions. The modernization of the drafting system is of prime importance to improve yarn quality. Conversion Plus is the Texparts service package for the modernization of old ring- and speed frames with modern drafting systems. 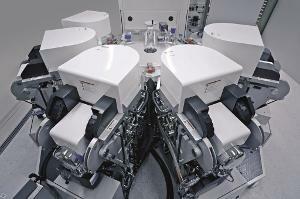 Conversion Plus improves yarn quality and increases productivity. Oerlikon Textile Components has the competence, the experience and the staff to advise spinners all over the world on the planning of modernization projects and to actively support them in their realization. An open discussion with the customers marked the end of the official agenda of these Customer Days. Oerlikon Textile Components with its well established product lines Accotex, Daytex, Fibrevision, Heberlein, Temco and Texparts is one of the worlds leading suppliers of quality determining components for all filament and staple fiber spinning applications. Highest quality and reliability are the common characteristics of all products. 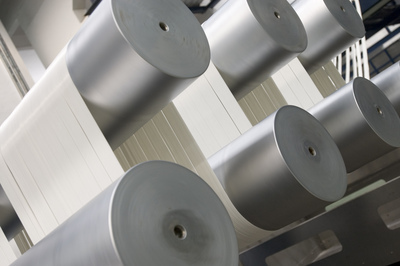 Continuous development ensures that Oerlikon Textile Components will always strengthen its leading position as the component supplier of choice to the textile industry. Oerlikon Textile Components with manufacturing facilities and sales offices in the Americas, Europe and Asia is headquartered in Switzerland. A global network of experienced representatives ensures prompt service and close contact with our customers in spinning mills as well as with the leading machine manufacturers.